Control your TV from the sofa! 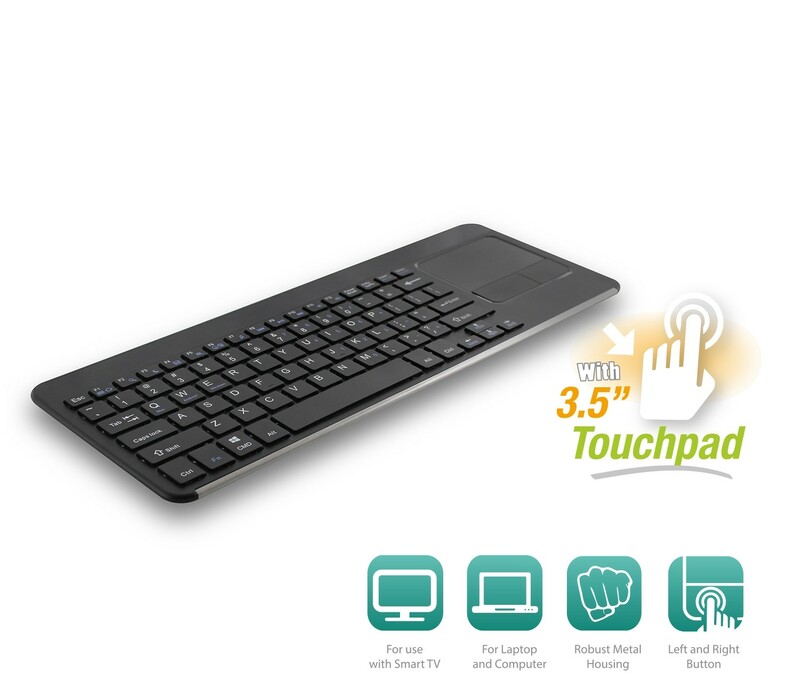 Control your Smart TV easily with the Ewent EW3115 Compact Wireless keyboard from your sofa. Watch videos, surf the web, chat with friends and more. 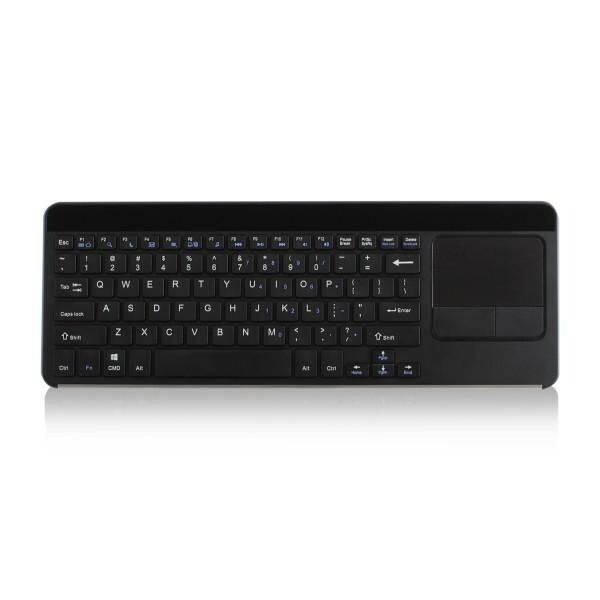 The wireless keyboard has an integrated 3.5 inch touchpad with large buttons for left and right click, no additional mouse needed. 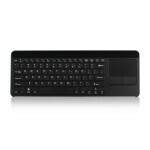 Use the built-in touchpad to navigate easily through websites and applications. Connect the Ewent EW3115 wireless keyboard via the Nano USB receiver (stored within the keyboard) to your Smart TV or laptop and start working immediately. Two AAA batteries are included in the package.